"Sampath Speaking" - the thoughts of an Insurer from Thiruvallikkeni: the most prolific writer is ............ 'not a person' !! the most prolific writer is ............ 'not a person' !! It was the summer of 1928, when Jawaharlal Nehru began writing letters to his young daughter, Indira, who was in Mussoorie at that time. In the first letter, 'Book of Nature', he talks about how life began in the universe. When Indira was about to turn 13 in 1930, Nehru started sending her more detailed letters. These letters contained his understanding of the world which he wanted to further impart to his daughter. Long before the invent of SMS, MMS and interesting media apps – see a Tamil movie of 1970s, love was conveyed only in letters – and they employed small boys working in tea-shops, dogs, birds and what not ! – to say, they are in love .. incidentally, have you ever written a love-letter ? or a letter to your lover ?? – who do you think is the most prolific writer ? (you may find it interesting to know that most prolific is no human at all !).. The answer could depend on what you perceive – some have had very long career in writing with hundreds of their works getting published. While some best-selling authors have written a small number of books that have sold millions of copies. 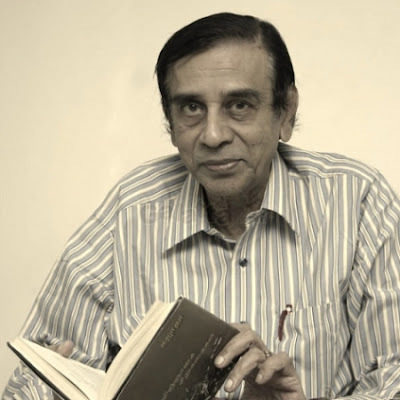 To me, Sujatha was the most prolific, capable of writing on almost everything – then there were Kalki, Chandilyan, Sri Venugopalan (Pushpa Thangathurai) and others. once in a college, a student slyly asked Sujatha – when would you stop writing .. ? - the genius, gently responded – ‘ at night, when I feel sleepy ‘ !! “Inflatable duck baby pool with canopy.” “Hot selling colourful temporary full arm tattoo for men.” “Splendid reusable dog pee pad (minimum order: 500).” Load up the homepage for e-commerce giant, Alibaba – a wholesale shopping site that’s more or less China’s answer to eBay – and you’ll find images and descriptions of anything you could wish to buy, from kitchen sinks to luxury yachts. Every item has a short headline, but most are little more than lists of keywords: hand-picked search terms to ensure this USB phone charger or that pair of flame-resistant overalls float to the top in a sea of thousands upon thousands of similar items. Launched by Alibaba’s digital marketing arm, Alimama, the AI copywriter applies deep learning and natural-language processing tech to millions of item descriptions on Alibaba’s Tmall and Taobao sites to generate new copy of its own. “The tool removes the inconvenience of having to spend hours seeking design inspiration by looking at competitor listings and manufacturer sites,” says an Alibaba spokesperson. “The user can create their ideal copy with just a couple of clicks.” Despite their forays into the world of art, creating unexciting text such as ad-copy is where generative systems will have the biggest impact in the short term. Software will produce millions of words and images that millions of people will see – and be influenced by – every day. And if they do the job well enough, we will never even notice the difference. The line between human and machine agency is already blurred online. Twitter bots sow the seeds of misinformation, spambots generate oddly poetic emails about Viagra, and automatic aggregators find and republish online news articles so quickly it can be hard to tell who first published what and when. Take the news about Alibaba’s copywriter. The English version of the press release was picked up by several news outlets, mainly in the UK, the US and India. But among those first reports was a video on an obscure YouTube channel called “Breaking News”. A synthesised voice reads out the news story, with subtitles appearing over a series of stock images related to Alibaba and ecommerce. Buried in the video’s description is a link to the text’s source: an article published an hour or so before by International Business Times, a website based in India. The speed and weird sloppiness with which the original story was repurposed – the subheadings are copied over as if part of the main text – strongly suggest the video was automatically generated. As does the fact that, apart from the Alibaba video, the channel seems to post nothing but news reports about international football, also all republished from other sources. We have news about one AI churned out by another. Welcome to the future: at once weird and mundane. Someone may be picking which stories to republish, but no obvious human activity is visible on the channel or the associated Twitter account. So we have news about one AI churned out by another. Welcome to the future: at once weird and mundane. “It's not science fiction,” says Wang. He thinks advertising is a perfect fit for generative AI because it has a clear goal. “You want to maximise the number of people that click and then buy,” he says. “We’re not talking about generating art.” According to Alibaba, using its tool is simple. You provide a link to the item you want a description of and click a button. “This brings up numerous copy ideas and options,” says the Alibaba spokesperson. “The user can then alter everything from the length to tone, as they see fit.” The tool is also prolific. Alibaba claims that it can produce 20,000 lines of copy a second and that it is being used nearly a million times a day by companies – including US clothing brand Dickies – that want to create multiple versions of advertisements that still grab our attention when presented in different sized slots on webpages. And it’s not just Alibaba. 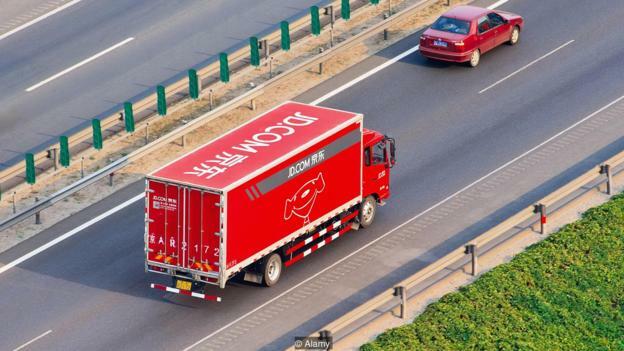 The company’s main rival JD.com says it is also using software – which it calls an "AI writing robot” – to generate item descriptions. According to tech website ZDNet, JD.com’s system can produce more than 1,000 “pieces of content” a day and has a flair for flowery language, describing wedding rings as symbolising “holy matrimony drops from the sky”. The problem with a machine-learning approach like that used by Alibaba and JD.com is that the generative system will tend to learn the most average way of saying things. “AI is really good at generic formats but the more you want to specialise or customise it becomes a much, much harder problem,” says Riedl. “I don’t think we’re there yet.” Perhaps not, but it is where we’re heading. As soon as you load a webpage, the page lets the internet's ad-brokers know who is visiting and a high-speed bidding war kicks off, typically involving around 100 advertisers, with the winners getting to show you their ads. The whole process is over in 100 milliseconds, faster than the blink of an eye. Google’s trackers operate on around 75% of the million most popular websites. The three biggest ad networks – Adsense, Admob and DoubleClick – are run by Google. And there are few places on the internet that Google cannot track you. Its trackers operate on around 75% of the million most-popular websites. And if Google can’t see you, Facebook – which has trackers on 25% of those sites - probably can. These AI systems are getting smarter but are they getting more creative? Here’s a famous six-word story by Ernest Hemingway: “For sale: baby shoes, never worn.” It’s ad copy, similar to the descriptions churned out by Alibaba’s AI. But the emotional resonance of Hemingway’s words comes from his deep understanding of a human life that machines do not have. Even if they produced those words, we would not react to them in the same way. As well as telling stories and becoming better salespeople, more creative AIs could also be used to generate customised campaign emails or social media posts for political candidates.